The Children’s Wish Foundation (CWF) has recently appointed Atlantic Central’s Jeanette Wakelin as Chair of the National Board of Directors. 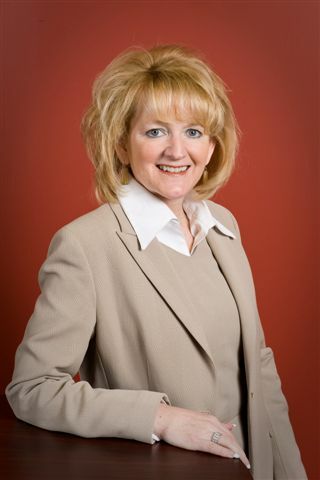 Jeanette currently holds the position of Director of Training and Senior Manager of Atlantic Central’s PEI office. The Children’s Wish Foundation is Canada’s largest wish granting organization, having granted over 18,000 wishes to children between the ages of 3 – 18 with life-threatening illness. For a child whose wish is about to be granted, the pain and discomfort of the illness and often harsh treatment regimes somehow become more bearable. For many, the excitement of planning and anticipating their dream has a dramatic effect on their healing. These courageous youngsters often experience a renewed sense of energy and hope as they plan in anticipation of experiencing their Wish. Jeanette’s commitment spans more than 20 years with the local chapter as a board member and as an active volunteer participating in numerous local events and planning activities for the organization. In 2009, Jeanette was appointed to the National Chapter. At the national level, she has served on the Governance Committee then transitioning to the role of Chair for the Recruitment Committee. She was actively involved in the implementation of guidelines in the governance structure, along with integration of the guidelines at both the national and local level. Jeanette has also served on various other committees in support of the national CWF. Last year, Jeanette was Chair of the CEO Performance Planning Committee and devoted numerous hours as Vice-Chair. At the local level, under Jeanette’s leadership, CUCPEI and the CWF built a strong partnership, with CUCPEI providing support for the Children’s Wish Foundation Annual Golf Tournament for 11 years, raising more than $200,000. This commitment to CWF by the Credit Union System continued in 2011 as the Credit Unions of PEI entered a team in the CWF’s major fundraising event, Exile Island. Jeanette views her background in training and education and in board governance as being a valuable asset in her new role.